For all of you fellow procrastinators out there still trying to decide what your Thanksgiving menu will consist of, allow me to give you one. If I were hosting Thanksgiving dinner, I think this is what I would make. Well, it's what would be on my list today. It would more than likely change over the next 3 days (yes, I would be continuously editing up until Thanksgiving day). First and foremost, people need to eat something before 3 or 4 pm. You may be in the kitchen nibbling all day, but that's not going to keep everyone else at bay. 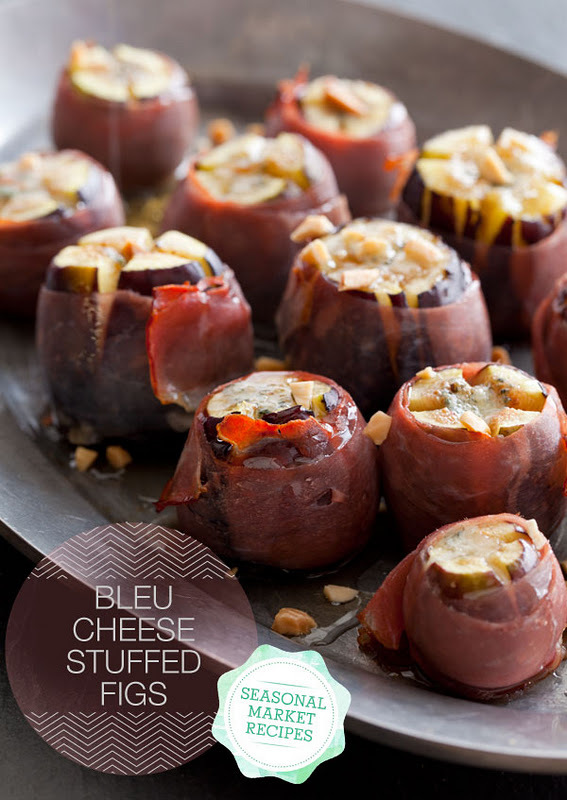 I'd make some of these amazing Bleu Cheese Stuffed Figs from Spoon Fork Bacon (I have got one heckuva blog crush on these ladies right now). 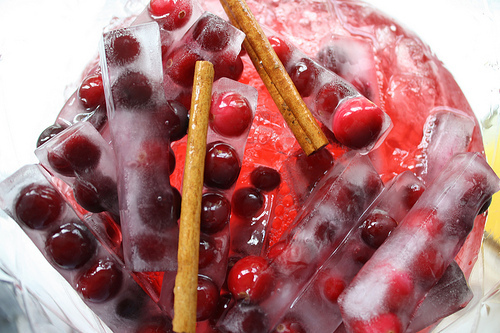 Whip up a batch of this Spiced Cranberry Prosecco Punch, set it out, and watch your entertainment for the day unfold as hungry guests with empty stomachs fill up on booze. 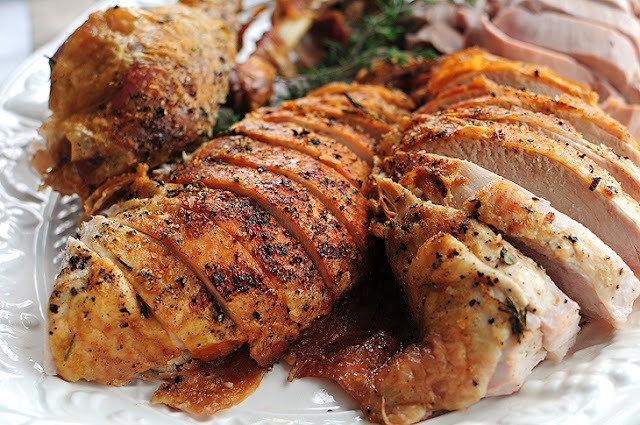 This take on roasted turkey involves bathing the bird in some herbed mayo first. I've heard that roasting a turkey upside down helps keep the white meat moist. Have any of you tried that? Set it and forget it! 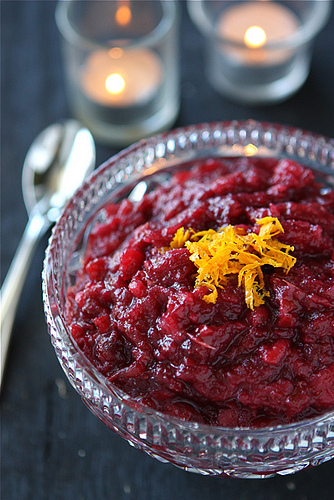 This Apple and Cranberry Sauce with Orange & Crystallized Ginger is made in the crockpot. 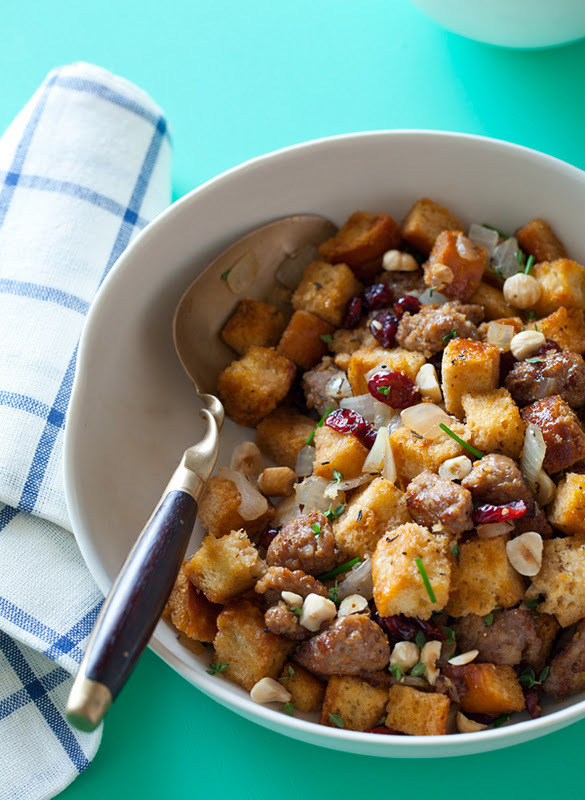 Be a total food snob and make some untraditional Sausage and Sage Stuffing with Cranberries & Toasted Hazelnuts. Now, to be honest, this style of mashed potatoes isn't my thing, but people are picky about their mashed potatoes! 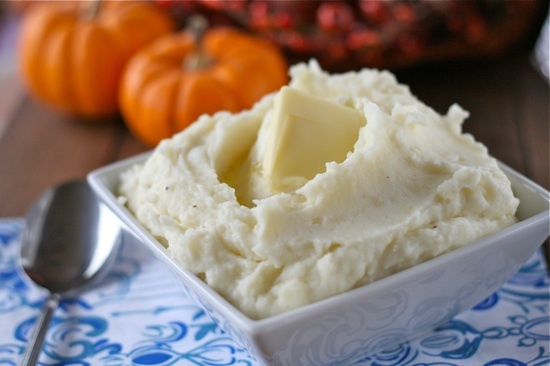 And, this is a classic - perfect mashed potatoes. Are you the chunky mashed potatoes type who loves a little bit of skin in there, too? Use my recipe for Gorgonzola Mashed Potatoes and just leave out the gorgonzola. Or don't. Gorgonzola is awesome. 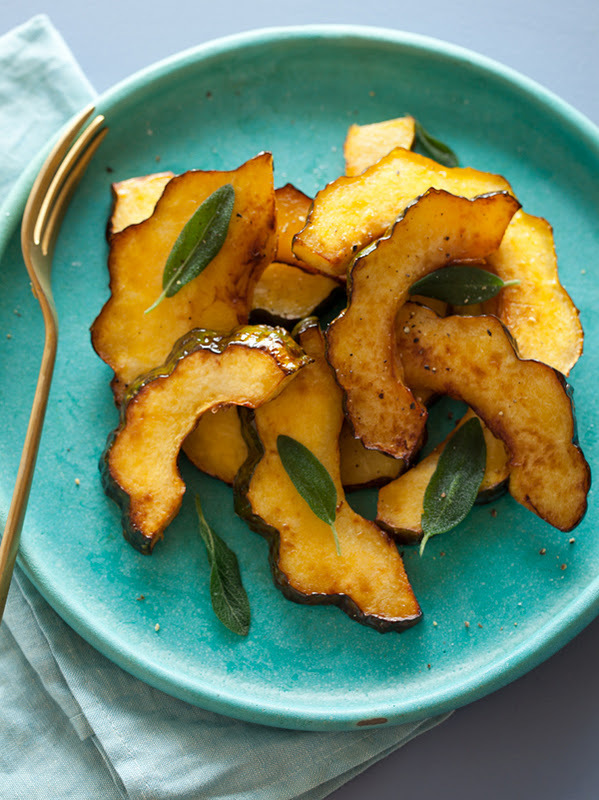 Tack on some sweet Maple Glazed Roasted Acorn Squash to really celebrate fall. Please, please, please have some sort of fresh vegetables. 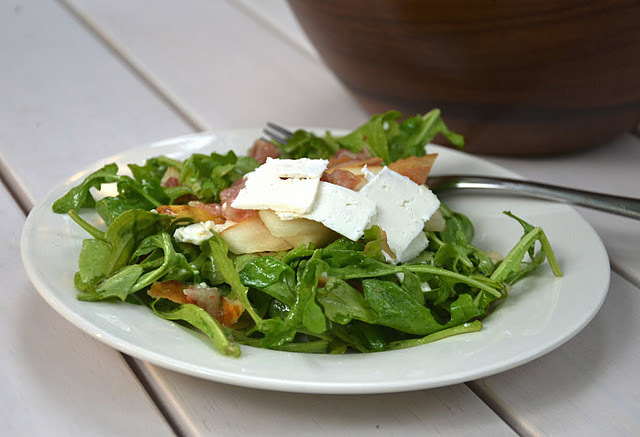 I absolutely adore this Arugula Salad with Pear, Pancetta & Ricotta Salata. Last but not least, dessert. 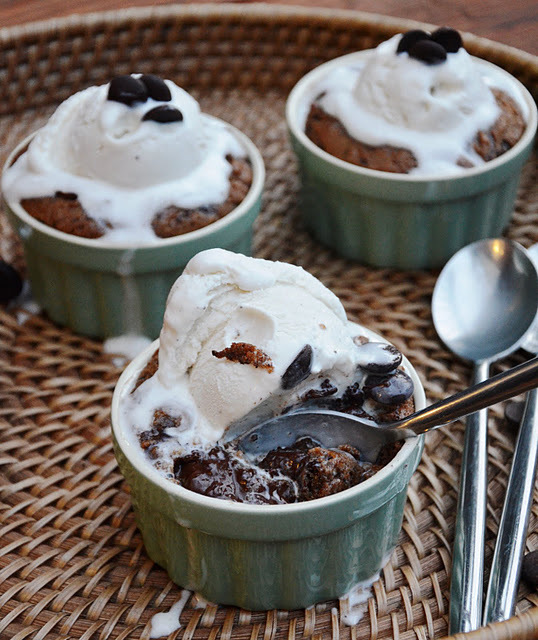 This summer I loved taking a recipe for amazing chocolate chip cookies and baking it in a ramekin so that it was ooey, gooey, and almost brownie-like instead of cookie-like. Have some fun with dessert this year - take your favorite pie recipe and bake it in individual ramekins. Be sure to leave room to add ice cream on top! Keep it simple. Focus on only a few dishes to ensure everything comes out perfect, and keep the focus of Thanksgiving on being thankful for the blessings in life, not eating in excess. What are your plans this Thanksgiving? Are any of you hosting? I can't wait until my turn for that comes around! yum... can I come to your house? Those figs are so incredible I want to cry. True story. Of course! They look like the perfect mashed potatoes to make a well in for some yummy gravy. Thanks for sharing your useful post to us . We are very happy to read it .